NorCal Fires: How Do We Get Back to Work? 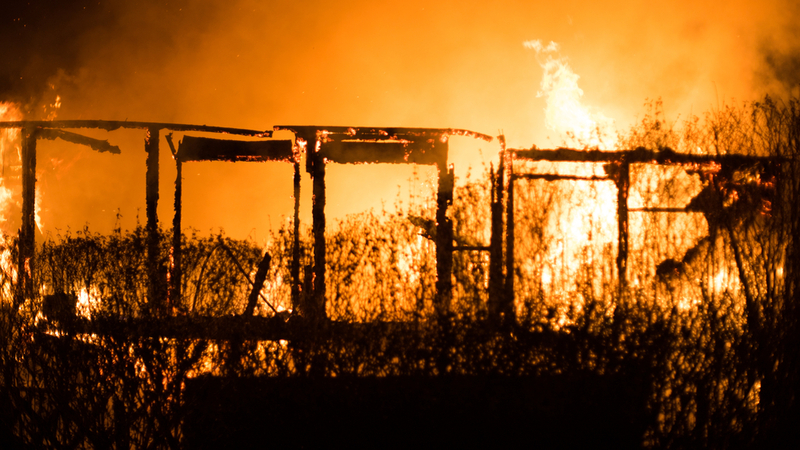 How the heck do we get back to work after the devastating fires that hit our community? Some of us had our houses burn to the ground. Most of us have friends, family and community members who have suffered great losses. Businesses, parks and lands have gone up in flames. Some neighborhoods and schools are completely gone. Our external landscape has changed. And our internal landscape has changed as well.Things have changed mightily. We are charred. And all of us, in our own way, are experiencing trauma. Nonetheless, we need to get back to work! We need our paychecks, our companies need our work, our clients need our products and services, and the wheels of commerce must continue! How do we operate when the world as we know it has changed and we have changed? 1. BE KIND: Be kind to yourself and others. Give yourself and give others the benefit of the doubt. You might find that your mind wanders and you get easily distracted. You might find yourself periodically needing to cry or feeling angry and upset, confused. Recognize that many of us are experiencing a whole host of emotions and those emotions might change quickly, like the winds of the fire. They might come and go quickly, sometimes from moment to moment. It is so important to allow yourself and your co-workers the space to express and share feelings without being judged. Give yourself and others room to be more emotional and sensitive. Take the time to ask your colleagues how they’re doing. They might want to share. They might not. But offer the care and interest. 2. BE PATIENT: You might not feel ‘in the groove’ right away. That is natural. You might be distracted and confused. You might need to call home to check in on your loved ones periodically. You might need to work more slowly to really concentrate and avoid errors. Slow down. Take breaks. And if you are the manager or supervisor, try to be patient with your employees. Offer them an opportunity to share what they have experienced. This might prove to be an excellent way to build team and camaraderie by showing deep care and understanding for one another. Research shows that after a trauma it is vital to express oneself. To push feelings down can lead to long term depression and anxiety. Allow your employees and co-workers to talk if they want to. Don’t press anyone, but offer them the time and space. Managers: Gather your team at the start of the day and give everyone a chance to share as much as they’d like to. Listening is caring. 3.FIND YOUR FOCUS: Before getting to your workplace, take a few minutes to tune in to yourself. See what you’re feeling and what you might need to prepare yourself for the work day. One colleague told me it helped her to take a long walk before driving to work to settle herself. Another person told me he needs to play his guitar to relax and ‘center’ himself before going to work. Someone else needs a long shower or bath to calm down. Some people after trauma require more sleep. Make sure you eat something before work, a healthy breakfast to give you energy. If you notice your mood is really sinking over time or you have ongoing anxiety, you might want to talk to a counselor. Some companies offer counseling, see if yours provides that service. Readers, friends and colleagues, this has been a difficult time for me as well. My husband and I were evacuated on that fateful night with powerful knock at the door and a loud voice telling us to EVACUATE NOW! That voice still plays in my head and when I walk pass my front door I re-live those words. It took me days to figure out what to write to you in today’s career column. I hope it’s been helpful. This is not an easy time for any of us. But I have seen a tremendous community spirit in our community, and I know the love is stronger than the smoke! Let’s continue to bring the best of you to work – – And perhaps for a while, a bit more slowly, more kindly and more gently.